Happy new year to you. Just a quick note to say how much we enjoyed the New Years Eve event!! The food and catering were excellent in both quality and variety. Also, mention must be made about Grant Jane and Matt who worked tirelessly throughout the evening and provided us all with excellent service. All the people on our table were certainly glad we went and I just wanted to convey those sentiments to you in the hope that the success of this event can encourage other equally successful events in the future. We had a fantastic time last night. Everyone commented on how good anevening it was. The club house looked amazin; the food lovely; the dj was great - everyone was dancing; and the service behind the bar was brilliant. Can I once again thank you for such a brilliant and memorable evening. I would like to thank you all for your help and work that went in to providing us with a great venue for our Christmas Party. The room was decorated beautifully, the food was lovely and served hot. The staff were friendly and efficient. We had a great evening. Thanks again. "We had our wedding reception here on the 30th December. It was amazing, everything I wished for and more!! From Susan who planned our day to Grant the bar manager and not forgetting the wonderful chefs and brilliant DJ. Nothing was too much trouble and everyone commented on the food. Thanks so much." "We wanted to write a note of thanks from the McHugh family, for hosting the absolute fantastic 80th birthday party recently on June 25th, Everything was brilliant from beginning to end! Its truly a very special venue, the event space is exceptionally well presented and clean and met all of our needs and it was just the perfect size for the party, (about 120 people came in the end, across all generations). The service we received was top notch. From the ease of the venue planning and party logistics all cheerfully coordinated and managed by David Miller, the efficient help from Susan for our Mercure Bankfield hotel booking co-ordinations, to the truly fantastic and scrumptious food catered and beautifully presented by the catering team, to the friendly and very efficient bar service managed by Grant, to the Steward assisting us throughout the evening, to the DJ you recommended who played a good variety of tunes and to the members who shared a friendly hello and banter as we were setting up for the party etc. Its was a memorable evening and everyone said how much they really enjoyed it. 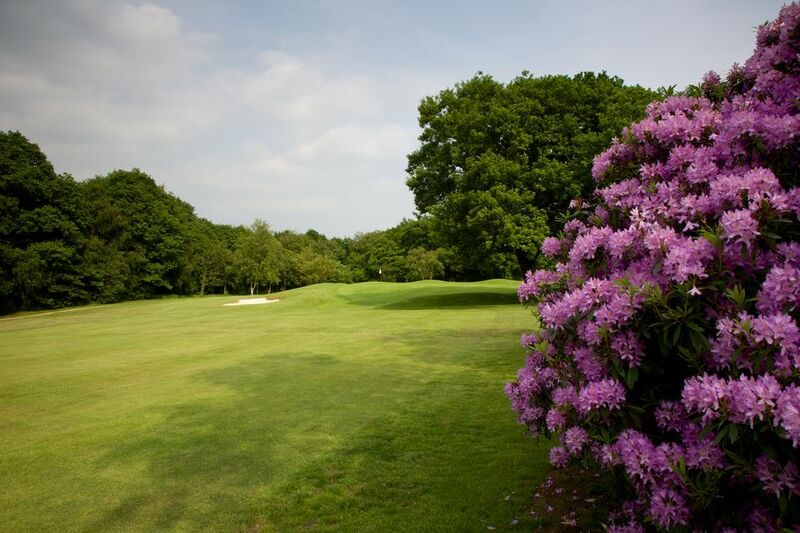 We will highly recommend Northcliffe Golf Club to our family and friends!" "I am so happy to be writing to you with our massive thanks to all your staff who were with us on Saturday. We had the best day. Every single person was happy, helpful and unobtrusive. I am useless with names so I will not be able to name them individually but the hard working bar manager and his assistant, the marvellous lovely chefs and the happy waiting staff were wonderful. We cannot thank them all enough!" food was exceptional and his opening of the half way house was much appreciated. We found the course to be in very good condition and a treat to play.You even managed to make the weather very kind to us"
"Firstly, no number of photographs could really show how truly an exceptional golf course Northcliffe really is. The course is a credit to your Management and Green Staff. The greens are of grade A standard, and as regular golfers to many different courses, Northcliffe are certainly up there with the best. Upon arrival we were greeted by yourself and a very helpful Pro managing the Golf Shop. As mid to low handicappers, we enjoy a challenge and Northcliffe course suited both our abilities. The course is in exceptional condition and a pleasure to play. Now that we know this gem of a golf course is just an hours drive from home, I can guarantee you will be seeing much more of us. The Golfbreaks Offer of two rounds plus dinner, bed & breakfast is a great offer, and we are so pleased we chose your course to enjoy whilst celebrating our 15th Wedding Anniversary. 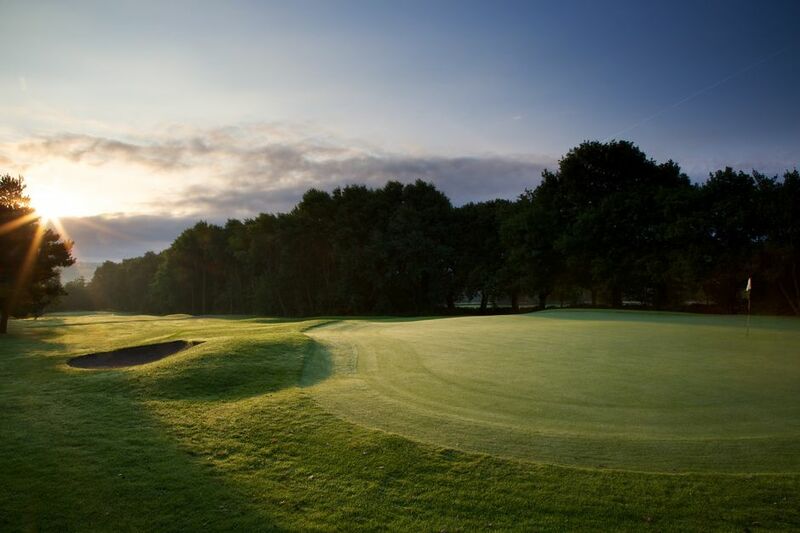 We wish Northcliffe GC a very successful future and we look forward to seeing you very soon." "My son and I would very much like to thank you, Grant and the rest of the team including the professional shop and greens staff for making this week’s visit to your golf club a truly brilliant experience. From arriving to leaving the members and the club management team could not do enough to ensure our stay at Northcliffe Golf Club was going to be exciting and above all, fun! It has been a real pleasure to work with you and to finally meet up with you before we left yesterday. It goes without saying that we shall be looking to visit your very special venue again next year, so I sincerely hope that you will be able to accommodate us. Once again David , thanks from us to you and the entire team at Northcliffe Golf Club and we wish you well for the remainder of the year." "The guys in the pro shop were our first point of contact at northcliffe and it's easy to see why the place is so busy as nothing was to much trouble for the two lads in the shop, the bar staff were very welcoming with food was good and the course fantastic, nice to be made to feel welcome, will definitely be going back , Thanks"
"What a fantastic weekend we had from the moment we arrived until we left. The hotel and food was superb fitted our every needs. Thanks for having us at Northcliffe golf club it was a great golf course. The hospitality your club showed us was second to none. A big thank you goes to Grant who looked after us at the bar for which that Tetleys was excellent may we all say. A special thanks goes to you yourself David it was kind of you to meet us in person,take some time out to tell us a little history of the course and give us a few pointers. Top management professionalism that. All in all us Geordie boys appreciated everything you and your staff provided for our memorable weekend trip. Well done from me and my friends"
"We would just like say a big thank you to yourself, Duncan, the staff and club members we met for the hospitality and friendliness that they showed to our party, we had a great time at the course, hotel was fabulous and a superb night in Bingley. We would like to come back next year if possible at a similar time"
"We all thoroughly enjoyed your course, and my recollection of enjoyment from playing it in an AM AM competition 25 years ago was just the same. The first and last holes enjoyed from the vantage point of the clubhouse veranda whet their appetite and gave them a buzz for playing the course before they even teed off, as I knew it would! All your staff were most hospitable both on arrival for bacon butties and coffee, the help from the pro shop, and then during lunch and afterwards for a drink in the clubhouse. Your green keeping staff also deserve a thank you as the greens were just how I like them, and testing! Thank you for a most enjoyable day, on this our 30th anniversary year since the Society was established." "Please thank the club committee for allowing us to play your wonderful golf course. The members can be very proud of the staff at Northcliffe who made us feel very welcome and in particular your catering staff who provided some excellent food. You must also pass on our congratulations to the greens staff on delivering a great course in its best condition. The society members all enjoyed their visit and look forward to playing Northcliffe again at some future date." "Just a few lines to offer our appreciation for a fabulous visit to Northcliffe Golf Club. The course was superb and exceeded our expectations. The package provided was truly exceptional value and I would recommend a visit to anyone considering planning a tour to this part of West Yorkshire. The signature 18th hole was is a truly wondeful hole which everyone (without exception) passed favourable comment on. At 7pm we had to leave the Northcliffe experience behind...though truth be told many of us would still be sat on the balcony now with a pint, appreciating the views along the 1st & 18th! Thank you for allowing us the oppurtunity to experience Northcliffe. I look forward to many more visits in the future." Northcliffe Golf Club. We found everyone so friendly and the course was in superb condition. It made a great start to our three days away. I will tell the members of both the Lincoln GC where we all play and the Saxilby GS of which we are all members about the hidden gem above Shipley/Saltaire. I don't envisage another tour this side of Christmas but you never know. We will certainly putting Northcliffe on the map for our golfing breaks for 2015. Once again many thanks for your hospitality and it was a pleasure to play your excellent course." "We used tee ofttimes to book. What a lovely course this was to play , read many reports on the course. 18 holes of sheer golfing pleasure. Would recommend the course to be played by all, The staff we encountered . A credit too the club. P.S ... The 18th Wow!!"